Good Harbour Laboratories now provides Scientific Research and Experimental Development (SR&ED) services for all eligible product development testings to our clients. The Scientific Research and Experimental Development (SR&ED) are the activities performed by a company for the purposes of research and development involving basic or applied research, or experimental development in advancing technology, in order to improve or develop new materials, devices, products or processes. The Canadian government provides tax credits and refunds to any business operating and carrying out R&D in Canada (certain expenditures for SR&ED performed outside of Canada are also permitted). This program benefits business both by allowing deductions of certain expenses from their income for tax evaluation, and by providing a tax credit that can reduce the amount of taxes paid, or even result in a refund. It is the largest single source of funding for industrial research and development in Canada. Each year, the SR&ED program provides over $4 billion in investment tax credits to qualified claimants, of which 75% are small businesses. It isn’t necessary to have been successful in your SR&ED activities. As long as you have incurred SR&ED expenses in a legitimate attempt to succeed, you could qualify. The investigation or search must be seeking scientific or technical advancement. The attempt to achieve advancement is to resolve what the scientific or technological uncertainty is for the targeted outcome of the research and development work undertaken. 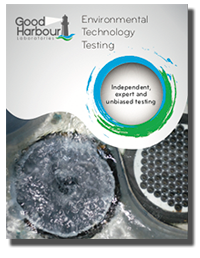 How Good Harbour Laboratories can help? GHL provides information for all the testing/verification/technical assistance to clients to support their SR&ED claims.